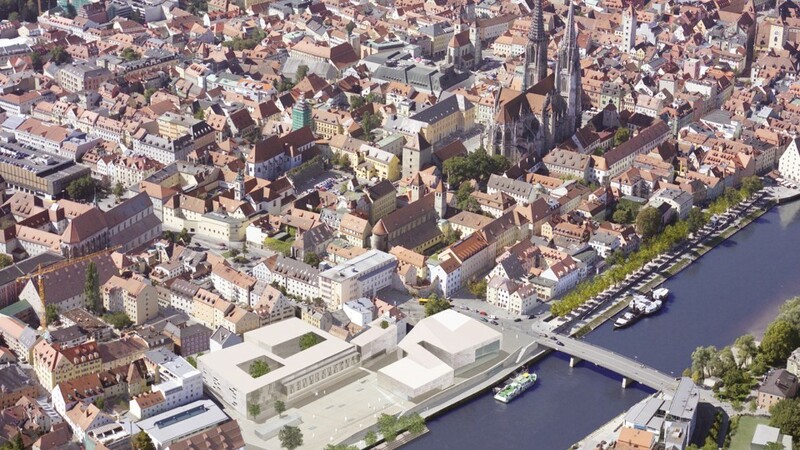 The planning proposal for the construction of a Culture and Congress Centre is based on the idea of ​​an urban, interior and functional interweaving of old and new in a prominent location. While respecting the existing structure, the modernisation of the building will be visually portrayed. 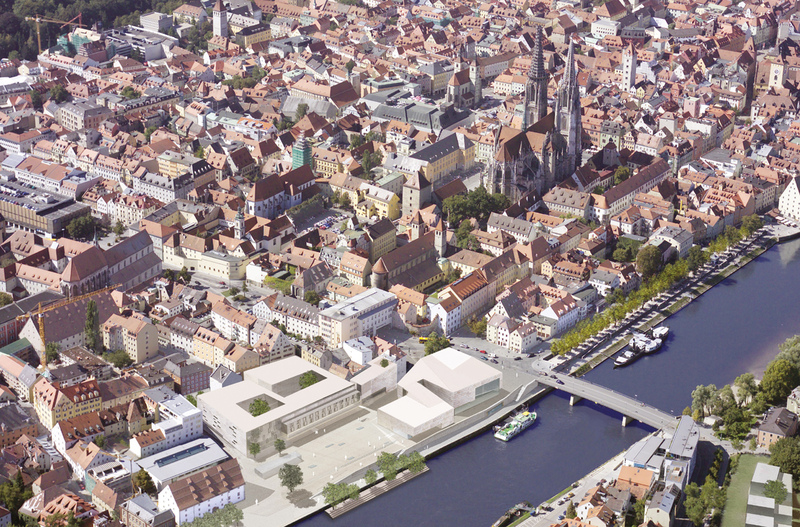 Through the positioning of the congress centre building, the new hotel building and the listed ‘Ostenstadel’ together in a U-shape by the waterside, the market square and the exposed location of the site on the Danube is strengthened.